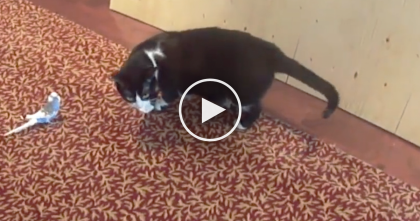 The Moment This Kitten Discovers The Mirror For The First Time… Funniest Reaction EVER. This kitten discovers the mirror for the first time and has a reaction like you won’t believe, this kitten jumps and hops around as if he just can’t believe his eyes! This little tabby kitten isn’t just cute, but he’s so shocked by what he sees he just can’t contain himself and the results are just hilarious…You’ll LOVE it!! 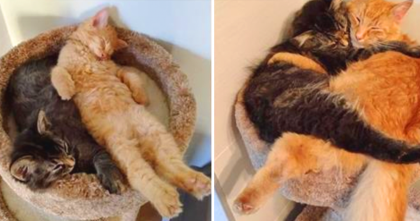 These Kittens Are Snuggling Together, But Wait Till You See The Last Picture… OMG, Awwwww!! 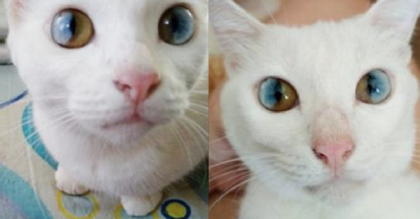 Cat Has Rare Eye Condition, But Just Take A Closer Look…Most Beautiful Eyes Ever, WOW. 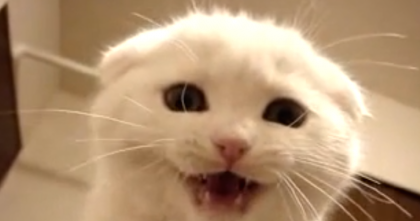 Little White Kitten Meows For Some Love…Watch For 5 Seconds And Your Heart Will Melt! 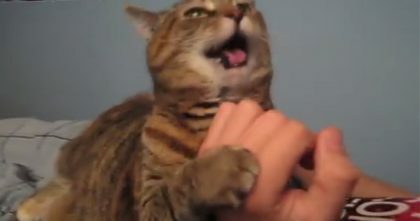 She Scratches Her Cats Back, But The Response She Gets In Return… Just Watch, I NEVER Expected This!